Posted in Airports, baghdad, Business, Commission, Construction & Engineering In Iraq, Dhi Qar, featured, Investment, Iraq Transportation News, mn, Nasiriyah Airport, National Investment Commission (NIC). Posted in Abbas, bank, Banking & Finance, Business, Central bank, Central Bank Iraq, Central Bank of Iraq, Central Bank or Iraq, Economic News, Commission, conferences, Construction & Engineering In Iraq, erbil, featured, Investment, Iraq Banking & Finance News, Iraq Britain Business Council (IBBC), Iraq Education and Training News, Iraq Industry & Trade News, Iraq Oil & Gas News, Iraq Public Works News, mn, Politics, Security, United Kingdom. This article may also be downloaded here in pdf format. The development of the Iraqi petroleum sector during the period 2008-2018 represents, from all related aspects, a distinct phase in the sector and in its role in the national economy. The petroleum sector comprising three different but interrelated sub-sectors through critical forward-backward linkages: Upstream (including exploration, field development and production); Midstream (pipeline, storage, export terminals) and; Downstream (crude refining, gas processing, petroleum product distribution and petrochemicals). Though the state has been the dominant actor in petroleum sector development, the post 2003 period witnessed grand opening of the sector for International Oil Companies- IOCs. Different contractual modalities, mostly reflecting the peculiarities and realities of each sub-sector, were proposed or adopted to govern the relations with the IOCs. Thorough and continuing follow-up and research suggest that most of the evidenced development has taken place in the upstream sub-sector, with heavy IOCs involvement in a significant part of proven oil reserves through most prized oilfields. But the “triple shocks”, of collapsing oil prices since June 2014 (economic risks) accompanied by Da’esh (security risks) effects and Kurdistan Regional Government-KRG taking-over some of North Oil Company-NOC oilfields (June 2014-October 2017) (political risks) with the prospect of “lower-for- longer” oil price that prevailed almost a year ago, contributing to continue deepening the fiscal crisis of the state and elevated the “fear-factor” among Iraqi decision makers. That, combining with apparent human, systemic and institutional capacity-gaps limitations (business risks), have resulted in Iraq giving important concessions to IOCs without having tangible benefits in return. Accordingly, the article would argue that, analytically and empirically, a sub-sector focused policy impacts, negatively, the development in that sub-sector, in the sector itself and on the sector’s contribution to the development of the national economy. That indicates to the absence of well thought, coherent and integrated petroleum and energy policy; and to the “indicative non- mandatory” National Development Plan-NDP. The outcomes would exacerbate structural imbalances, vulnerabilities to external factors and increase dependency on oil revenues, which prohibits desirable structural change, diversification and transformation. The nature of the topic decides the research methodology. Hence, the article is a multi-disciplinary in its approach focusing on the relevant and important economic, legal, institutional, political economy and geopolitical analytical frameworks and aspects. Also, the article offers evidence-based analysis by relying on official, verifiable and crossed-checked data, information and documentation. Time-series and charts for the ten-years covered period are necessary for elaboration but avoided for space restriction. The article adopts a holistic view by addressing the three interrelated levels of analysis: micro, sectoral and national, excluding KRG. Throughout the article, many questions were posed indicating the need for further scholarly work and research investigation. Finally, because of my constant follow-up and frequent contributions on Iraqi energy and petroleum sector, this article refers heavily to some of my previous works and publications. This article comprises two parts and concluding remarks: part one identifies and analyzes the most important milestones in petroleum upstream development while part two provides assessment of successes and failures in the petroleum sector. Since 2003, upstream petroleum subsector is having many milestones with significant direct impacts on the development of the sector-wide and also on the national economy at different degrees. Some of these landmarks constitute, by their own right, a distinct phase and sometimes overlapping. This part addresses the most important landmarks some of them could shape the development of upstream petroleum for, probably, many decades to come. Between 2004 and end 2008 the Ministry of Oil-MoO had concluded some 40 memoranda of understanding-MOUs with IOCs: including majors, independents as well as minors. The first step was to formulate a standard text for the MoU, which spells out the structure, the terms of reference governing the signed MoU and its duration and renewal if needed. For each MoU there was one “Joint Steering Committee-JSC” comprises three or four representatives from each side; the names and number of the Iraqi side are known while the corresponding information on the IOC side are not. The role and mission of the JSC is to oversee and insure the full and proper implementation of the related MoU. Each MoU was signed by the MoO while the other party was either a single company or a consortium of companies or an official entity. One consortium comprising three companies; three consortia each comprising two companies while the rest represent MoUs with single companies. All MoUs were signed with companies except one, which was signed by the Norwegian Ministry of Energy. The parties to the signed MoUs belong to 23 countries; the USA has the largest participation with 9 companies, followed by Japan and Norway with 4 each, then China, UAE, UK and Canada has 2 each and one company from each of France, Russia, Holland, Ireland, Turkey, Kuwait, Malaysia, Brazil, Indonesia, Austria, Angola, Australia, Spain, Italy, India and South Korea. One of each MoU objectives is to conduct “Joint Studies” and for each study there was a “Technical Committee”; again the names, positions, specializations and number of the Iraqi side are known while those for IOCs are not provided. The number and coverage of the joint studies are not unified for all MoUs; some has only one joint study, while many have more. Another important objective is human capacity development; each MoU offers different opportunities for training, workshops on variety of subjects and programs and for academic degrees. These MoUs provided various opportunities, both serious and visits, for MoO staff and affiliated companies to interact with their international counterparts after decades of relative isolation. For IOCs, MoUs represent unprecedented and invaluable opining of all archives relating to upstream petroleum in the country that helped IOCs to explore where they would be involved and what they could provide to chart their way towards business objectives in Iraq’s upstream petroleum. Execution and performance of these MoUs are not similar in delivering stated objective and some were terminated when the related IOC signed contracts with KRG without the approval of the federal Ministry of Oil. Apparently, eventually outcomes did not correspond to IOCs efforts as their actual involvement in upstream project could tell. Two examples could highlight this: the USA had the largest participation with 9 companies in these MoUs, yet only one, ExxonMobil, has only 32% participation interest in one oilfield. On the other side, Russia had only one company that participated in these MoUs, but Russia has now three IOCs with significant participation interests in four oilfields and exploration blocks. The same valid also on a company level as the cases of Chevron and Kuwait Energy-KE exhibit. For the MoU signed with Chevron, the three Iraqis in the JSC, headed by the current Minister of Oil-Jabbar Allibi (Luaibi), had a record high of convening meetings outside Iraq (between February 2004 and April 2008 they traveled to London 8 times, to Bahrain 5 times and to the USA twice); Chevron organized 44 training activities (in USA, Jordan, Bahrain, Kuwait and Turkey) attended by 741 Iraqis and held 17 workshops (mostly in Amman) with 139 participants. Finally, Chevron was involved in 15 joint studies. Yet, Chevron did not have a stake in MoO concluded contracts as per the bid rounds. KE MoU, by contrast, was signed in September 2007 and has one year duration only; the JSC held one meeting only in Kuwait in 2007; the company participated in one joint study only and it provided no training or organized a workshop. Yet, the company has stakes in three MoO signed contracts, including the field it participated in its study! An important outcome of these memoranda of cooperation is their contribution in the formulation and development of the model contracts for the four bid rounds; they helped the formulation of two year technical support contracts-TSCs, which were devised for implementation by the international oil companies during 2008 and 2009. These contracts focus first on halting the production decline of the major oilfields (Rumaila, Zubair, West Qurna1, Missan and Kirkuk), and then increase production by 400 to 500 thousand barrels per day-kbd. MoO pays for both investment requirements and the IOCs fees to achieve that target. Negotiations on these technical support contracts lasted from the fourth quarter of 2007 to mid-2008 without conclusion because of differences on serious issues (Al-Ammedi 2009). MoO then reduced the duration of the technical support contracts to one year. After that time they would overlap with the timing of bid rounds. The IOCs refused the one year duration as too short for such contracts. Accordingly, the ministry abandoned the contracts to focus on the bidding rounds. Based on the previous experience with the technical support contracts and the expected bid rounds the ministry began formulating and drafting the model contracts that would constitute the contractual framework governing the relationship with the IOCs (Al-Ammedi 2009a). Intense debate inside Iraq during the period September 2008 to April 2009 focused on the desperate state of the upstream sector, especially in the southern part of the country. A team of nine senior oil professionals including two former oil ministers conducted in depth survey on the status of the upstream sector. The team visited various locations and sites and held intensive discussions with top management and senior staff there during the period 21-31 December 2008. A final and detailed report was presented to the PM on 12 January 2009. Copy of the report was distributed during the Symposium for Reviewing Iraq Oil Policy held in Baghdad February 27-March 1, 2009. The first recommendation of the said “report” calls to adopt a program aiming at increasing oil production by some 350-500kbd, and the Symposium endorsed such program, to be executed within two years (2009 and 2010). Two days after the Symposium, the Council of Ministers-CoM authorized a committee comprising the PM, his Deputy, the Ministers of Oil, Finance and Planning, and the Legal Advisor of the PM to review the state of the oil industry and decide on the requested mandates and authorities for the MoO and oil producing companies. Apparently, the accelerated program was primarily drawn by a former Director General-DG of South Oil Co-SOC and oil ministry and CoM advisor Jabbar Allibi. However, Allibi was removed from been in charge of the program. Allibi removal had in effect derailed the program and considering the fact that the occupancy of DG position of SOC had changed three times, this had contributed to causing further management instability and worsening deterioration of the upstream operations especially in the south. Not surprisingly, therefore, to observe the continuous fluctuation of oil production and exports causing serious loss in oil revenues and deepening the financial crisis of the country. Based on official data by the MoO compiled by the author, Iraq did not benefit, as it should have been, from high oil prices because its oil export was sharply declined from a total of 58.8 million barrels-mb to 54.4mb to 49.4mb in July, August and September 2008 respectively, at a time when the average price of the exported Iraqi crude was 118.81$/b, 102$/b and 85.30$/b during the same three months period. The gradual improvement in oil export revenues during 2009 was a reflection of oil prices upward trend more than oil exports, which kept in regular and sharp fluctuation due to technical capacity constraints and security conditions. But what is more important was the state of the petroleum upstream sector went from bad to worse and the accelerated programme to at least capture the decline and prevent it from worsening have not succeeded in a sustainable way to insure steady levels of oil production and exports, as the above data indicates clearly. One thought suggests it might be a “deliberate neglect” to justify the opening up of the oil sector before foreign investors- the IOCs. This might and might not be the case. But judging by outcomes, the above figures clearly suggest mismanagement and lack of vision. Instead of proposing “Grandiose” move by offering more than 80% of Iraq’s petroleum reserves through bid rounds, the MoO could have adopted gradual, feasible and achievable approach starting from rehabilitating the upstream sector moving upwards. Evaluation, selection, prioritisation, sequencing and implementations are fundamental ingredients and preconditions for successful development and testimonies for sound and effective federal petroleum policy. The production sharing “Development and Production Contract”-DPC was signed 4 June 1997, received endorsements at the time from the Iraqi National Council (parliament) when it was first initialled in 1996 and ratification from the cabinet and revolutionary command council in 1997 before it became effective, but remained idle due to UN sanctions. The MoO decided to renegotiate the terms in 2006 to convert that PSC into a 20 year service contract; formalised it in late August 2008 in Beijing during a visit by Iraqi Oil Minister, Hussein al-Shahristani, approved by the Cabinet on 2 September 2008 leading to the contract signing on 10 November 2008 in Baghdad. The significance of this conversion takes many aspects: it marks the first IOC to break ground in Iraq’s oil sector since the 2003 US-led invasion; it indicates the type of contract (long term service contract-LTSC not PSC) Iraqi government would accept; it provides the terms, conditions and provisions of such contracts; it highlights the importance of bilateral government-to-government relations or “oil diplomacy” and finally, it establishes the basic first version of the model contract that was adopted latter (but with many modifications reflecting a learning curve) for four bid rounds. Also this contract offered the Parliament a powerful opportunity to have and consolidate its role in approving the contract and thus establishes a precedence; but regretfully that opportunity was missed due to negligence, incompetence or intentional. Al-Ahdab original PSC of June 1997 was ratified by law and thus the new converted contract becomes legally invalid unless it is either ratified by a new law or the old law be revoked by a law. The Cabinet decided on the latter option, proposed a draft law and referred it to the Parliament. Instead of insisting on ratify the new contract by a new law, and thus consolidate its role in approving all LTSCs, the Parliament agreed, on 27 March 2011, to the government request and approved an abrogation law! By benefiting from the insights of the MoUs, the status of the accelerated program and the successful conversion of Al-Ahdab contract with lessons learned from it, MoO launched what I considered a fast-tempo big-push strategy (Jiyad 2011). All existing development and production service contracts and exploration, development and production service contracts were awarded through bid rounds except, as mentioned above, the one relating to Al-Ahdab oilfield. Approval of each contract by the Council of Ministers. The Final Tender Protocol-FTP for each bid round specifies the bidding parameters and the formula for calculating the bidding scores. For the first three bid rounds the bidding parameters were the plateau production target and the remuneration fee, while for the fourth bid round there was only one parameter, the remuneration fee. For all bid rounds MoO accepted the highest scoring bidder provided the remuneration fee proposed by the highest scorer does not exceed the maximum remuneration fee acceptable. This maximum is disclosed only if the highest scorer’s proposed remuneration fee exceeds the maximum, in order to give the bidder(s) concerned the opportunity to revise their proposed fee downward to that of the maximum remuneration fee. MoO did not disclose the maximum remuneration fee it had set on many occasions when the highest scorer’s proposed remuneration fee was lower than that maximum. In the case of tied bids, whether the remuneration fees proposed are equal to or less than the maximum set, and where the tie is between a consortium and a single company, the consortium bidder is preferred and declared the winner. Main features of and developments in the model service contracts are briefly analysed below. This analysis of all versions of the model service contracts identifies the nature and main characteristics of the contracts concluded under the four bid rounds, which were considered as “unknown in the oil industry” when they were introduced (Chalabi FJ 2010:258). First, each bid round has its own “model contract” reflecting the nature of the offered opportunities and the lessons learned from the previous rounds. From negotiation theory and practice- who sets the agenda impacts the outcome. Thus, the Ministry did well by setting the agenda, i.e., the model contract, and asks the IOCs for feedbacks instead of following Terry Adams proposal. Second, all the contracts have similar structures in terms of equal number of articles, annexes and addenda, except those for the fourth bid round which have more addenda. Almost all the articles are identical or could be considered as common clauses, except those reflecting the specifics of the field or block. Third, the contracts could be considered as being in a hybrid category of their own since they include components from production sharing contracts and components from conventional service contracts. Among the main features taken from production sharing contracts are: the long duration; the privileges of first/exclusive rights; the payment of a signature bonus; the R-factor as a sliding scale remuneration fee; and restrictions on sovereignty through consensus-based decision-making within the joint management committees. ‘Business risk’ for IOCs relating to the commerciality of petroleum discovery is covered only by contracts relating to bid round four, which is for exploration blocks. Fourth, all the contracts are premised upon the principle of take-or-pay/now-or-later even when the government decides to exercise its sovereign rights to curtail production. Fifth, all payments to the international oil companies (costs and the remuneration fee) are denominated in US dollars, not in barrels or barrels of oil equivalent. This implies that any economic rent (windfall) belongs to the Iraqi side, and the international oil companies do not have any claim on rent in the event of oil price increases. The international oil companies benefit from higher oil prices by expediting the recovery of their capital and operating expenditure and by receiving greater volume in remuneration fees through the operation of the payment caps when there are higher revenues. This, however, also calls for the application of the R-factor, which reduces the remuneration fees. Fifthly, for each of the concluded contracts there is a carried state partner participation interest of 25% (now reduced for some of oilfield offered under bid rounds one and two) with no up-front payment from the Iraqi side. The international oil companies in the consortium cover, proportionately, this participation until they recover it. The model contract for the fourth bid round does not have a state partner participation interest since the risk of exploration is taken on fully by the international oil companies should there be no commercially worthwhile discovery. The current version of the fourth bid round model contract exhibits many new components, reflecting the still evolving development of the model contracts and the Ministry of Oil’s learning curve in contract formulation. A pre-development holding period is introduced, subject to certain rather complex provisions, in the event of an oil discovery. The rationale for this is that Iraq has too much oil to manage if all the contracted fields are developed as planned in addition to the existing production from other fields. Also for the first time there is a transitional state partner. Initially the state partner is Oil Exploration Co, but once the value of the R-factor exceeds 1 then a new state company takes over the role of state partner. This reflects the different phases of the contracts arising from the distinction between the exploration and development phases, and this distinction lead to the removal of the state partner’s 25% interest, as mentioned above. The third development is the absence of a performance factor, because with only one bidding parameter (the remuneration fee), and therefore no production plateau target, there is no reason to include the performance factor. An important fourth new element was introduced to reduce the cost-inflating tendencies of international oil companies. A new term, ‘cost production’, is included to reduce the remuneration fee entitlement in such a way as to induce the international oil companies to pursue cost effectiveness and refrain from exaggerating costs. The fifth new development is related to the application of take-or-pay/now-or-later principle. The contracting Iraqi oil company’s obligation is confined to 80% of the produced gas if circumstances call for application of the take-or-pay/now-or-later principle. It is worth noting the application of this principle remains as it was in the previous bid rounds in the event of an oil discovery. The sixth new component is provision for dry gas export, subject to a separate contract and marketing arrangement. This is an option for the international oil companies to pursue, but does not constitute an obligation on them. No such option was or is offered for oil. Another new provision gives the Iraqi oil company the right to terminate the contract if the international oil companies conclude another contract with any regional or provincial authority without Ministry of Oil approval. The final new development is the establishment of an infrastructure fund to finance infrastructure projects in the province where the contract area is located. During the term of the contract the contractor will pay 10% of the annual budget for the fund. It is worth mentioning that each signed contract comprises other detailed provisions, annexes and addendums reflecting the particularities of the related field or exploration block. Adding Al-Ahdab oilfield to the above would give a total PPT of 12.3mbd to be reached at end 2017 and sustained for seven year. They have 67billion barrel of proven reserve; constituting 58% of the country proven reserves at that time. The number of involved IOCs in the above 14 oilfields was 15 companies from 12 countries including the five permanent members of the UN Security Council. Three free gas fields, Akkas, Siba and Mansuriya, were contracted under third bid round with a combined PPT of 825 million cubic feet daily-Mcfd and 11.2 trillion cubic feet. Three IOCs from three countries were involved. The fourth bid round was about exploration blocks; four blocks, 8, 9, 10 and 12 were contracted with 7 IOCs from 6 countries. The decision to go for the bid rounds and their outcomes, especially the first two, had created vibrant, interesting, mobilized and courageous debate on many aspects pertaining to timing, the type and number of the offered oilfields, the type and conditions of the contracts, the feasibility and sustainability of proposed and concluded production targets, the legality premises among others. Why there were such wide powerful and impacting concerns on these bid rounds? First, historically, there seems to be a strong association, in the Iraqi conscious, on three nexus of “oil, politics and patriotism” or what is termed, wrongly, in the western business terminology as “resource nationalism”. Second, there was a prevailing conviction that invasion is “all about oil” and that conviction was consolidated not only by the many and repeated statements in international media; but also by the apparent attention given to oil matters by the occupying forces, by the many MoUs (as discussed above) and by the massive intrusive efforts by US and UK embassies and their preferences regarding related oil issues such as type of contracts, oil law, privatization of INOC. Third, there was strong resistance “from within” the petroleum sector itself that argued their opposition on national efforts and capacity premises. The most apparent protest came from Basrah Council, Basrah professionals and SOC senior staffers. Moreover, the first bid round came at the height of a heated debate on the ill-fated Draft of Federal Oil and Gas Law and the first announcement of Shell’s Head of Agreement-HOA, that was negotiated and concluded behind closed doors. Fifth, Oil workers and trade unions were also among the early protestors, but were focused first around Rumaila oilfield, then on Zubair, WQ1 and Majnoon. The Federation of Oil Unions of Iraq and the Federation of Workers Councils and Unions in Iraq have condemned the Ministry’s decision to award a foreign consortium the contract to develop Rumaila (Mohammed A 2009); partly on legality grounds and partly for fear of unemployment and, later, for not been properly compensated. Sixth, ironically, KRG and its related interest groups, individuals or contracted companies had their share in praising KRG PSCs as superior to MoO contracts in serving Iraqi interests!! Finally, from petroleum industry perspectives they were between two contrasting positions- “crazy” and “game changer”. Total, then CEO Christophe de Margerie was reported by Reuters (28 October 2009) have said “The 12 million barrels is crazy”. But the executive director (2012) of the International Energy Agency-IEA, Maria van der Hoeven was adamant that “Iraq has a potential as a game-changer” and becoming a “strategic source of world oil supply” in the years ahead (Hill 2013). That takes us to the next milestone. For the first two bid rounds, the production plateau target was one of two bidding parameters, as mentioned earlier. This prompted IOCs to inflate their production targets to out-bid their competitors. Consequently, plateau levels in all the resultant contracts came out much higher than even the Ministry had envisaged. Hence, euphoria began to surface at the prospect of crossing the threshold of 12.3mbd, and this then became a sacrosanct target for some within the ministry and outside it. But, as mentioned above, many oil professionals doubted the feasibility of attaining these plateaus within the specified timeframe, and questioned the justification of constructing expensive production and export capacities based on these figures. Initially, MoO and the government were reluctant to the idea of revising down the PPTs, however, they became more receptive to the revision of the plateau targets, especially after the finalisation of two thorough studies. The government and the World Bank agreed to the necessity of having an integrated strategy for the country. Thorough, well researched, intensively debated through more than forty meetings and 18-month study resulted in a final report of the Integrated National Energy Strategy (2013-2030)-INES. Concurrently with INES, Iraq and IEA cooperated in conducting another study, Iraq Energy Outlook-IEO. Both studies came to similar conclusions to those expressed by many Iraqi oil professionals on the unattainability and feasibility of the contracted production targets: INES discusses the implications under three (high-13mbd, medium-9mbd and low-6mbd) production plateaus with different commencement timelines and plateau period durations. IEO assesses the consequences under “high”, “delayed” cases and “central scenario” of 6.1mbd by 2020 and reaches 8.3mbd in 2035. Thus, these studies prompted the Iraqi authorities to consider seriously lowering down their previously contracted production targets and take what that entails by amending the contracts. Even before the government approves INES, MoO under the, then, new Minister Abdul Kareem Luaibi, was already reworking on reducing the production targets; Russian Lukoil was the first to renegotiate its contract, bringing production targets for WQ2 oilfield down from 1.8mbd to 1.2mbd (Osgood 2013). By September 2014 and based on available brief information, this author compiled, that total production plateau from the amended PPT in the signed contracts would be reduced from over 11 mbd (Old Plateau Target-OPT) to 7.15 mbd (New Plateau Target-NPT) (Jiyad 2014). NPT could be even lower after Shell and Petronas relinquished Majnoon in 2018, WQ2 PPT was reduced for the second time to 800kbd (IOD 2017), and possible Badra reduction. There could have been thousands of unemployable oil professionals. Second, IOCs found this the opportunity they had hoped for to improve the contracts for their benefits. They argued, reducing the PPT impacts negatively the economics of their projects, and thus they should be compensated to maintain their original Internal Rate of Return-IRR. Our follow-up on this issue indicates a range of IRR between an “absolute minimum” of 8% and “not overly profitable” 17%. But, on the other hand, reducing these “crazy” plateau targets would first give them more time to attain the new targets and, second, would reduce significantly the “up-front” investment requirements; and both have significant fiscal positive implications for IOCs. Lukoil provides clear example; a reduction of WQ2 PPT from 1.8 mbd to 1.2mbd would reduce investment to $26 billion from $33 billion over the next 10 years. Thus and based on that, the latest reduction in the PPT to only 800kbd would reduce investment requirement by, probably, another $4.7billion. Reduction of the “State Partner-SP” share in the remuneration fee from 25% to as low as 5% would results in billions of dollars concessions to IOCs from Iraq; we have identified four such reductions. Based on the related new production targets and the resulting increase in IOCs share due to these reductions in SP share our calculation arrives that those IOCs would get an additional $441million a year in their Net Remuneration Fee-NRF (post income tax and SP share). That, over the years of the contracts would result in billions of dollars move from the Iraqi coffers to IOCs. The third concession was the elimination of P-Factor (which is a performance measure linking the payment of remuneration fee proportional to the achieved production target). Elimination the P-Factor could result in two negative consequences for Iraq first, it disincentives IOCs to comply with the new production targets (a forward concern) and second, it relieves the IOC from the penalty for non-performance so far (a backward concern). The magnitude of non-performance so far could be, theoretically, gigantic since all IOCs had not attained the contracted plateau target. To illustrate, MoO had in 2013 informed Shell (the operator of Majnoon) that its consortium had cased Iraq financial losses estimated at $4.6billion for not performing their contractual obligations (Jiyad December 2017). Another concession was related to increasing the “natural decline factor-NDF” on the “base-line production-BLP” for the brown fields, i.e., those covered by bid round one. Increasing the NDF would give corresponding proportional increase in the additional oil production that should be attributed to IOCs and, thus, increases its remuneration fee. For example, NDF for Rumaila was increased by 2.5 percentage points starting from 2014 (IEITI 2016), which expedites the deductions for BLP. Our calculations indicate that Rumaila consortium, e.g., BP and CNPC, would gain additional of over $23million per year in their NRF. However, it is not known whether such NDF was applied to all or some of the brown fields. Third, it should be stated that all these concessions were dealt with in complete secrecy restricted to the Ministry, Energy Committee of CoM and the related IOCs. What was puzzling, though, these revisions occurred while the architect of these contracts, i.e. Shahristani, was still walking in the corridors of power! Why was he so passive? Apart from what was reported by the business circles, IOCs and professional sources of information, nothing disclosed by Iraqi authorities until the IEITI annual reports provide formal admissions on these changes. What even more serious and suspicious is while the Ministry offered these significant and long lasting concessions, it got absolutely nothing in return for the country. Moreover, the Ministry had actually and practically lost the leverage over the IOCs to, for example, cope with the impact of low oil prices, as discussed next. But it remains vital to know why that was allowed to happen and how the Minister, i.e., Abdul Kareem Luaibi, was able, in such ease, to cause the country billions of lost revenues? After 2014 election, a new cabinet installed with Haider Al-Ebad- PM and Adil Abdul Mahdi- Minster of Oil. On the Parliament side, late Ahmed Al-Chalabi became the chairman of the Finance Committee. Politically, Mahdi was a long time senior member of The Islamic Supreme Council of Iraq-TISCI (formerly known then Al-Hakeem party) and Al-Chalabi (Iraqi National Congress-INC) was affiliated with TISCI during the election; the two are known for their opposition to Shahristani, strong support for privatization and inclination towards PSCs. 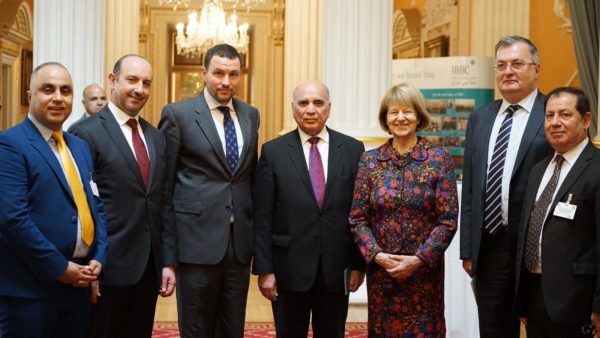 Their position was strengthened by the support they got from the new Minister of Finance, Hoshiar Zebari (KRG). Soon after the formation of the new government in September 2014 a new powerful and coordinated campaign directed against the LTSC; partly but mostly, political motivations and rivalries and partly unfamiliarity with oil industry in general and the concluded contracts in particular. The new minister of oil began, in February 2015, a series of statements by first expressing openly his preference for PSC, “Iraqi public,.., needs to be educated about the benefits of PSCs”, then continues in discrediting the LTSCs, though, making erroneous claims that actually expose his modest understanding of oil economics and signed contracts. On the same wave-length advises Hoshyar Zebari, “It is better to move from service contracts with IOCs to production sharing contracts”, asserting “Even the most strong opponents of this now have come to see that these [current technical service contracts] are not beneficial.” His remarks are recycling of those aired by KRG and pro PSCs. 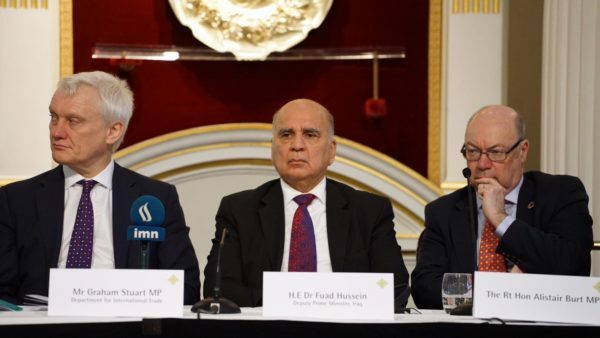 Al-Chalabi, used his parliamentarian position and the opinions expressed by minsters of oil and finance to make further and formal onslaught on LTSC through a formal communication to the Minister of Finance. But, thorough assessment of the data presented in the formal communication proved to be inaccurate with many flaws and wrong interpretation of the signed contracts (Jiyad October 2015). What prompts and enforces such persistent calls for contract revision or conversion? Collapsed Iraqi oil export prices from $102.61/b in June 2014 to lowest floor of $22.21/b in January 2016 before improving gradually to $63.288/b. Obviously, that provision in budget laws indicates the advocates for contract revision are not aware that Iraq, as discussed above, had already gave significant concessions and thus lost vital negotiation power and any revision would entail giving further concessions. The target to “reduce expenses” is a matter of “skill capacity” of the Ministry staff to insure prudent projects co-management not the contract itself. Moreover, calling for coupling cost recovery with oil price would, legally, economically and practically converting the LTSCs into a “revenue sharing contract”, which works for the IOCs favor as work progress towards the production plateau; Finally, if that occur it will not “protect Iraq’ economic interests”. When he took office in August 2016, the Minister of Oil pledged to use more “national efforts” and base decisions on “solid sound studies” regrading upstream petroleum projects. By now, he renegades on both; MoO has been working under rather different environment characterized with inconsistency, secrecy, ambiguity, absence of coordination and coherence, inclination towards foreign companies and lack of project feasibility. Since that reshuffle of August 2016, the MoO has been persistently trying to offer most possible remaining oilfields and exploration blocks to IOCs under new contracts that differ from those adopted by the Ministry in previous four bid rounds. On 23 October 2016, only two months after the current Minister took the helm of the Ministry, the Ministry offered 12 new discovered but not developed oilfields announced. The most alarming and absurd components of the announcement are the contractual modality and the process of awarding and contracting. The Ministry asks the IOCs to submit “their own proposals for contractual, commercial and financial terms and conditions..”, and “Bilateral and direct negotiations between the ministry of Oil and the IOCs will be used as a basis for awarding the fields’ development and production contracts to the IOCs after agreement on the terms and conditions of the contracts”. The above contravenes the experience, the process and the basic premises of the Ministry used at least since the preparation for first bid rounds mid-2008. No model contract; no process timeliness; no final tender protocol; no bidding parameters; no open bidding. Simply, the IOCs state what they want not the other way around as what it should. Elementary negotiation principle implies that those who decides the terms and conditions comes the winner. Even people with no negotiation experience at all do surrender this way! So what was going on at the Ministry, why and who was behind this demise? A bilateral and direct negotiation is recipe for corruption and bad governance; it is really shocking to see such a retreat from the open and very transparent bidding process to behind closed door bilateral negotiation. What make the matter even worse and devastating are the human resource skills and capacity gaps, especially in international contract negotiations, implementation, follow-up and monitoring. Less than three weeks later the offer was postponed for a year due to pressure that questions the rationale for such offering. MoO reinvigorated rather intensively the direct behind closed door negotiation, with ExxonMobil regarding the package for developing Ratawi and Nahr Bin Omar in oilfields under a new, proposed in November 2016 by the Minister, Southern Iraq Integrated Project – SIIP, which incorporates the stalled Common Seawater Supply Project-CSSP. By declaring such a mistake soon before launching discussion with Exxon manifest professional and negotiation naivety because it simply gives your opponent a leverage over yours!.. By first week February 2017 and while the Minister was in the US and after having “[A] dinner with their [ExxonMobil] CEO”, he said, “We have reached a good stage now” indicating the deal will be signed, “Before the end of the year” (IOR, 13 March 2017). Further remarks are due on this deal. First, this project was supposed to be executed jointly with CNPC, but there are no credible and verifiable evidence that suggests the Ministry had conducted any discussion with this company, why? ; second, during the entire two years negotiation between the Ministry and ExxonMobil, no information was made available on any essential parameters of the negotiation, what was offered by each side and why was the negotiation reached a stalemate; third, it seems the Ministry has left it to ExxonMobil to propose the type and conditions of the contract then the Ministry would look at that; fourth, it was not known whether there was /is a committee that was charged with negotiating this important project on the Iraqi; fifth, no information is available to indicates that the Energy Committee of the Council of Minister and/ or Oil and Energy Committee of the Parliament had been duly kept informed on all phases and results of the negotiation. The third example is the latest mass offering of border fields and exploration blocks. In a sudden move the Ministry announced in first week of January 2018 it will hold the fifth bid round on 7 May 2018 and proposing very tight schedule to accomplish the bidding; thus expedite the timing it has previously indicated in its announcement of 27 November 2017. The Ministry provides no clarification on why it decided to hold the round earlier than announced previously. By offering some 18 onshore brown and green fields and exploration blocks and one offshore area, all grouped under “9 exploration blocks” on the borders with Iran and Kuwait, the Ministry seems to be embarking for yet another grand-opening to IOCs. 26 IOCs were qualified to participate in this round including six already blacklisted by the Ministry from participating in upstream petroleum projects. Thus, it is puzzling to see the Ministry contravenes its own policy; who is behind this obvious chaos? Leaving the contracts to IOCs discretion is, as discussed earlier, a recipe for disadvantageous imbalanced deal that works against the country’ interests and adoption of the abandoned Terry Adams approach. Also, due to the tight timetable and known management capacity gaps at the Ministry, the biding process presents serious challenge as there are 9 groups of fields and blocks; 3 or 4 types of contracts and 26 companies eligible to participate in the bid round. Covering areas with two or three different types of already producing (brown) fields with discovered by not developed (green) fields and exploration blocks in a single contract would require the formulation of a complex difficult contract, largely due to the significant differences between the financial terms, contractual provisions and technical and geological requirements of these three covered areas. Additionally, and this is very important, the contracts of this bid round should reflect the special status and the prioritization of developing fields straddled along borders with Kuwait and Iran, especially with regard to the possibility of joint development through the formula known as “Unitization” of the concerned field. This is in addition to the need for including in the contracts many of the conditions, provisions and practices recognized by international contracts for border fields. Finally, the timing of the bid round was first set five days prior to the national election on 7 May this year then brought forward to 15 April and later moved it to 25 April! The Ministry announced on 13 April it has delivered the Final Tender Protocol and two Model Contracts to the 14 IOCs that bought the “Data Package”, without mentioning their names and not providing the text of the mentioned documents, as the MoO used to for the previous bid rounds. The fifth bid round took place on 26 April 2018 in Baghdad and the model contracts were published soon afterwards. The process, the outcomes and the model contracts of this bid round have caused outrage among most known Iraqi oil and economic experts as they expressed their strongest opposition. Transparency, in Iraq petroleum sector, is a new concept. Formally and officially it was introduced in the International Compact with Iraq -ICI under benchmark, “Establish and implement mechanisms to ensure transparency of petroleum sector flows” (GoI 2007). Pursuant to ICI obligations, MoO began publishing publicly available reports on production, export, and processing of crude oil and made them available on the Ministry’s website and also to take the necessary steps to joining the Extraction Industries Transparency Initiative-EITI. Following its undertakings under ICI, the government publicly announced its commitment to work with all stakeholder groups at the 4th EITI Global Conference in Doha, Qatar, in February 2009, and then made formal commitment to EITI at the Iraq EITI (IEITI) launch conference on 10-11 January 2010, when the country was accepted, by EITI as a Candidate. As a candidate country, Iraq took all necessary actions and fulfilled EITI requirements that led the EITI International Board on 12 December 2012 to announce Iraq as “Compliant” country under the EITI Rules. Attaining the compliant status seemed to be misunderstood by those at the Ministry, IEITI and others. Having the compliant status was seen as “mission accomplished”; as “permanent membership” in EITI; as “testimony of transparency in the sector”; it is about “oil revenues only” among others. Hence, a sense of complacency prevailed and each IEITI annual report becoming mostly a copy of the previous one; the National Secretariat of IEITI-NS became more passive, less responsive to external views and non-transparent in its records. Transparency at the MoO begun shrinking gradually and one month after the current Minister took office he caused serious blow to transparency; most data that used to be posted on regular intervals on the Ministry website since 2008 were suspended from September 2016 and all previous data archives became inaccessible. But Iraq’s status as a compliant country was subject to “validation” of continued full compliance with EITI rules and standards, which was scheduled in 2017. Accordingly, a team from EITI International Secretariat-EITI-IS visited the country on April 2017 for a fact finding mission and prepared “Initial Assessment”, which found Iraq non-compliant (EITI 2017). The Validator, Adam Smith International-ASI, agrees with the EITI-IS preliminary assessment but, moreover, downgraded two benchmarks and, thus, makes Iraq’s compliance even weaker. Apparently, the “Initial Assessment” forced the Ministry to resume posting, on its website starting from July 2017, some data, that was suspended in September 2016. But that was too little too late and EITI suspended Iraq status on October 2017. Ironically, the Ministry continued on its non-transparent attitude and practices even after the suspension and after the Ministry and Iraqi authorities declared their commitments to EITI and to comply with the needed requirements to regain Iraq status. 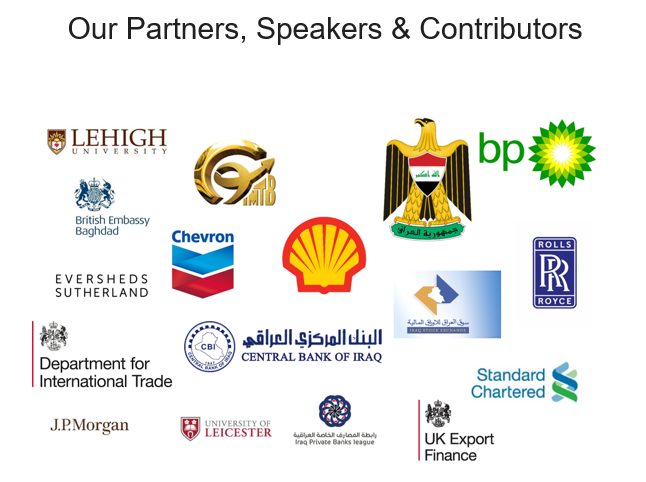 Examples are many, the one year long negotiation with ExxonMobil regarding SIIP (March 2017-February 2018); with Jinhua, a Chinese company, to develop East Baghdad Oilfield (December 2017); the agreement signed on January, 2018 with the US company Orion to utilize associated gas from Nahr Bin Omar oilfield in Basrah province; the contract/agreement signed with the GE-Baker Hughes US companies in July 2017 related to associated gas from Nassiriyah and Gharraf oilfields in Thi Qar province, among others. As usual, the Ministry has continued on its direct behind closed doors deals with IOCs without disclosing any vital information on these deals or about the contracts or agreements that were signed. Moreover and worst still, all the above mentioned contracts and agreements were negotiated and concluded without following the usual official contracting procedure that requires public tendering, open bidding and transparent selection. Finally, the Ministry was unable to clarify why associated gas from Gharraf oilfield was contracted to Baker Hughes when the associated gas from this field is already governed by the contract signed with Petronas and its partners!? The latest manifestation of the Ministry’s non-transparent and secrecy mentality is related to the current fifth bid round. Actually, this anti-transparency mentality contravenes all what was prevailed during the previous four bid rounds. Regrettably, in reality there has been a clear consistent pattern on shrinking transparency and a return to pre 2003 secrecy of information in the petroleum sector, especially since the last ministerial reshuffle of August 2016; deeds are more revealing than symbolic formal declarations and rhetorical statements! Our evidence-based assessment of the development in the sector-wide petroleum focuses on the fundamental components of the sector. The basic premise is the assertion that the success of a prudence and soundness of petroleum policy could only manifest itself through harmonious, coordinated and timely execution of the main components of the said policy. Further assertion, logically and analytically, follows: a failure of policy at a sector-wide petroleum leads to further dependency of the national economy on oil export and consequently less sustainable development on the macro-levels. However, this essay focuses on the petroleum sector leaving the sector-macro nexus to other time or to other scholars. Thus, the remaining space of this contribution covers five basic issues: Profile of oil production capacity and performance; Oil export, destinations and new marketing modalities; Refining Structure and the chronic production-demand misalignment; The wasteful continuation of gas flaring; and finally the recent disturbing development regarding regulating the upstream petroleum. Oil production capacity and actual production in Iraq can be looked at from locational/ provincial or organizational (i.e. National Oil Companies-NOCs) or management (i.e. by National Efforts- NEs or by Joint Management Committees-JMCs with IOCs pursuant to bid rounds) perspectives, though overlapping. However, availability and details of consistent data (especially in continued time series) limit the analysis. At the commencement of 2018 Iraq production capacity stands at 5mbd and total production at end December 2017 at 4.189mbd (excluding KRG), indicating 16.2% idle capacity. This significant idle capacity, with its negative consequences for cash-needed Iraq, can be attributed to multiplicity of causes, including OPEC cut deal. If this idle capacity comprises some of those covered by the bid rounds, this would entail paying IOCs their corresponding Remuneration Fee in compliance with “take or pay” contractual provisions. It should also have implications for pace and scale of developing capacity further. Based on our computation of average daily production during the second half of 2017 some 80.4% of total Iraq oil was produced by Basra Oil Company-BOC (including production from Thi Qar province); 10.5% from Missan Oil Company-MOC; 5.2% from Midland Oil company-MidOC (mostly from Wasit province) and 3.9% from North Oil Company-NOC (Mostly from Kirkuk province since production from Kirkuk, Ninawa and Salahuldeen provinces was negatively impacted by Da’esh effects and KRG seizure of some oilfields that are operated by NOC ). The above indicates that ca. 96% of the country’s oil production during the second half of 2017, i.e., from BOC, MOC and MidOC, involves IOCs, due to the first two bid rounds, and those fields developed by national efforts; but MoO data does not make such distinction and thus we have to make some estimations. IOCs have been involved, through ten contracts, in ten (twelve) currently producing oilfields, while another two, i.e., Najma and Qayara in Ninawa (Mosul) province have been on hold due to Da’esh effect. Based on the signed contracts and their amendments and published data from formal and industry sources the following methodology was used to estimate oil production resulting from bid rounds and IOCs involvement. Net Additional Production-NAP, i.e. due to IOCs involvement, for BR1 oilfields was calculated as follows: NAP=CP-RBLP and for BR2 oilfields: NAP=CP. The above analysis and computation indicate that actual production from the ten oilfields was less than one-third of the originally contracted plateau production that was supposed to be reached at end 2017. But because of the limited development of oil production by national efforts, actual production from the ten oilfields constitutes over 90% of total oil production. Most likely, oil production by national efforts had actually carried the burden of OPEC cut. Net additional production, which represents the real IOCs contribution, stands at 2.7mbd and this represents 68% of total oil production in the middle and southern Iraq. Also NAP decides the magnitude of two important financial parameters: capital investment that was spent to have such production levels and net remuneration fees; both parameters represent payment to IOCs. Monthly data on oil exports continued, by State Oil Marketing Company –SOMO, uninterrupted by deliberate anti transparency measures imposed by the current Minister of Oil. Export data are grouped under Kirkuk blend, which is exported through pipeline through Turkey to port of Ceyhan, and Basra blend, exported from export terminals on North Arabian Gulf. Until mid-June 2014 small quantities used to be trucked to Jordan from Kirkuk. From end June 2008 to end January 2018 Iraq exported a total of 8.8 billion barrels, 90% of which is Basra blend. Kirkuk export, since March 2014, was severely impacted by security conditions, Da’esh effect and KRG actions. In fact SOMO data indicates zero Kirkuk export since October 2015 except minor quantities between September 2016 and July 2017. During the last ten years Iraq generated an accumulated $626.8billion in oil revenues, 88% of which is generated from Basra blend; indicating 2 percentage points in the price for Kirkuk blend favor reflecting quality and location advantages. Iraq has three major market destinations: Asia, the Americas and Europe. There has been a dramatic change in markets configuration since 2008, leaning forcefully towards Asian markets at the expense of the Americas. Asian markets had 32% of Iraqi oil compared with 41% for the Americas and 27% for European markets. In 2015 Asian markets share almost doubled to 61%, the Americans down to 9% and the European increased slightly to 30%. This significant shift towards Asian markets could be attributed to many factors: high growth demand for oil in East Asian economies; refinery configurations in that region could very well process Iraqi crudes-both Basra heavy and Basra light; most IOCs that are involved in the bid rounds and receive their entitlements (for cost recovery and remuneration fees) in crude which is shipped to Asian markets; the serious and continued interruption of Kirkuk crude and finally aggressive pricing and marketing by SOMO to enhance its share in the that market. First, from June 2016 onwards SOMO diversified crude grades by launching Basra Heavy, reflecting the increasing magnitude of heavy crudes production due to bid rounds and also protecting the quality of its flagship Basra Light blend. But the monthly export data makes no such distinctions between these two crudes. Second, on April 2017 SOMO broke with its established policy and began limited spot trading through auction on Dubai Mercantile Exchange-DME. Our monitoring and calculation suggest that between April 2017 and January 2018 SOMO sold 12 shipments of 2 million barrels each equally divided between Basra Heavy and Basra Light. Basra Light shipment generated total premiums worth $2.484 million over the Official Selling Price-OSP and a corresponding $11.242 million from Basra Heavy. In addition to DME, SOMO began, in February 2018, similar auction through Platts and considering to auction through Argus. Third, on December 2017 SOMO entered an “agreement of partnership work” with the Russian company Litasco, Lukoil‘s international marketing and trading arm, by establishing a new venture, Lima Energy. The later name now changed into Iraq Petroleum Trading- IPT and becoming one of SOMO’ clients! However, neither SOMO nor the Ministry provides information on the basic terms of this venture; surprisingly enough the Parliament did not make a move despite the fact that this type of “international agreement” should be subject to its approval! The structure of the Iraqi refining sub-sector has evolved, over many decades, in such a way that is currently characterized with multiple core complexes each has some smaller “satellite external” refineries linked, administratively, to it. Each core complex was developed gradually over the years by adding new capacities in the same location (or province) or by modernizing existing capacities or by both: addition and modernization. Until mid-June 2014 Iraq has a nameplate refining capacity 984-kbd comprising all state owned North Refineries Company-NRC (494kbd); Midland Refineries Company-MRC (220kbd) and South Refineries Company-SRC (270kbd). Baiji refinery (402kbd) is the core complex of NRC; Doura refinery (140kbd) is the core of MRC and Basra refinery (270kbd) is the core of SRC. There are 10 state-owned smaller refineries with total capacity of 232 kbd (23.6%) while the three core complexes have a combined 752kbd (76.4%). But all that has drastically changed after June 2014 due to Da’esh (ISL/ISIS) effect; most of NRC designed capacity has been extensively damaged, especially in Baiji and Qayara. Consequently, more than one-third of the country’ refining capacity was lost, and might take years and billions of investment to reconstruct it again. Even before Da’esh effect, the refining sector suffers from two chronic misalignments: the first, actual refinery production is much below the nameplate capacity; indicating low utilization rate and the second, the obsolete technologies produce more of the lower parts of the barrel of products that is not commensurate with demand; leading to production-demand misalignments that has to be increasingly met through imports of expensive petroleum products. In late 2009 the MoO commissioned many international consulting firms to undertake Front End Engineering and Design-FEED studies for four modern grassroots refineries with a total refining capacity of 890kbd. All refineries were offered for investment through many promotional activities since 2011 but without good results, except a scandalous contract, with technically incompetent and financially bankrupt, for Missan refinery that was signed many years but remains ink on paper to this day! Also the government decided to execute Karbala refinery and began the work on 2014; but the construction encountered lack of funding and change of prioritization under current Minister of Oil, who discourage state involvement in the refining sector, while the Ministry seems to encourage Iraq state investment in refineries outside the country! Was there any such confusion and absent of basic economic principles of prudent petroleum policy?? Under the current minister, the ministry announced repeatedly these and other refineries for private investment without noticeable success, except small, and accordingly technologically inferior, refineries that would deepen the above mentioned misalignment. However, the Ministry announced an award of 300kbd Faw Refinery in Basra province to two Chines companies but without FEED study and no known information or details on the signed contracts. So far, refining sector remains one of the major failures of petroleum policy, or lack of it, in the country and thus the chronic supply-demand misalignment. It is worth mentioning in this regards that the Ministry has suspended, since September 2017, providing monthly data on the demand on “other oil products”, which constitutes major import item since January 2009! Another chronic disappointment that manifest serious policy malfunction is the continued gas flaring and at accelerated rate. All gas production in the country has been associated with oil production; the more oil is produced the more associated gas is produced as well depending on the gas-oil ratios of the related oilfields. Monthly statistical data indicates that, on average, gas flaring to total produced associated gas has increased from 51% in 2009 to reach a maximum of 69% in 2015. The Ministry suspended the publication of these data on September 2016, a month after the current Minister took the helm of the Ministry, and the monthly average of the flared gas for the first eight months of 2016 was down to 64%. In this regard I would argue that gas flaring is more of apparent policy failure than absence of legal framework. Law 84 of 1985 for Reservation of Hydrocarbon Endowment, which is still valid, forbids, according to Article 8-Second, gas flaring “unless it is not possible to utilize it economically”. On April 2005 the MoO signed a MoU with Shell and Mitsubishi to conduct a two-stage Comprehensive Gas Plan covering all fields, which was delivered by end 2008. Based on that MoU, MoO and Shell signed on 22 September 2008 a Head of Agreement-HoA to, “establish a joint venture to reduce gas flaring in the South of Iraq and gather and gas for utilization in the domestic and export market (the “South Gas Utilization Project” )”. The leaking of “confidential” HoA prompted evaluation, criticisms and opposition from many Iraqi professionals, e.g. Jiyad (2009), Merza (2010), Al-Ameer (2011), among others. The negotiation and finalisation of the HoA lasted longer than anticipated but eventually lead to signing a joint venture establishing Basra Gas company-BGC between South Gas Co (51%) Royal Dutch Shell (44%) and Mitsubishi (5%); BGC was approved by the Iraqi Cabinet on mid-November 2011 and officially announced the commencement of its operations on 1 May 2013. One direct consequence of BGC was to exclude gas utilisation provisions in the contracts governing Rumaila, WQ1 and Zubair oilfields offered under first bid rounds; while such provisions were included in the contracts for oilfields covered by the second bid round and offering the same remuneration fee for gas on oil-equivalent barrel. BGC’ first tanker of exports of condensates was on 22 March 2016; almost eight years from signing the HoA, which ironically includes a “Quick Wine Assets” that supposes to “optimization and fast-track procurement of equipment in order to increase gas production before incorporation of the Joint Venture”!!! The Ministry signed on the World Bank Zero Flaring Initiative by 2030, but the Ministry keeps giving inconsistent indications on when gas flaring would end. Another policy inconsistency is manifested by three contradictory developments: continued gas flaring, importing Iranian gas and commitment to exporting “surplus” gas to Kuwait (Ministry press office, 21 September 2017)! But the strangest lack of proper policy understanding is what the Minister has reportedly said, on 2 February 2017, “Gas utilization in the country was impacted by, among other factors, the fluctuation of gas prices in the international markets”. ! Iraq fails to utilize its associated gas for domestic uses, it imports gas from Iran, yet it blames gas prices in the international markets!! The publication of data on gas production, utilization and flaring resumed on July 2017 and based on them the average monthly (July 2017- February 2018) flared gas down again to 56.6% of total of associated gas production. Much of that reduction in gas flaring was attributed to BGC activities that led to increasing export of condensates and LPG in the first quarter of 2018. Also it was attributed to increased gas utilization form oilfields contracted under the second bid round. For example, gas treatment plant with capacity of 2 million cubic meters daily- mcmd was inaugurated at Buzergan oilfield (CNOOC as Operator) on 2 April 2018 that would supply power plant to produce ca 104MW. Earlier, in December 2017, Russia’s Gazprom Neft, operator of Badra oilfield, launched the commercial operation of a 1.6 billion cubic meters a year capacity gas processing plant at the oilfield, which monetizes at least 95% of the produced associated gas.. But the challenge that would face the Ministry’s efforts to end gas flaring in 2021-22 is of two folds; gas flaring rate is now stands at 56.6% at oil production (excluding KRG) of 4.360mbd and thus much is needed from the Ministry to reduce that rate to zero even at today’s oil production level. Moreover, oil production in 2021-22 will, according to the Minister, reach 7mbd, which implies increasing associated gas production by 61% on today’s level. It should be mentioned at this juncture that the Council of Ministers has approved Resolution 51 of 30 January 2018 mandating the MoO to launch “Supplemental Natural Gas Processing Contracts (SNGPCs) for the processing of associated gas to qualified investors through a competitive and transparent bidding process that adheres to best international standards” no later than 30 June, 2018. So far, the Ministry has been non-compliant to that Resolution since none of the announced deals and contracts were awarded “through a competitive and transparent bidding process” e.g., Baker Hughes for associated gas in Nassiriya and Garraf oilfield (2 April 2018); Orion Gas Processors to capture and treat gas from Nahr Bin Omar oilfield (9 January 2018). But the question remains on whether the Ministry could keep its promise for ending gas flaring by 2021-22? Two legal instruments of particular and direct relevance to upstream petroleum have been under the focus of attention since 2003; these are Federal Oil and Gas Law-FOGL and Iraqi National Oil Company-INOC Law. Many drafts for both laws were proposed and discussed and much has been written about them, particularly since February 2007. While FOGL, even in its latest version, has practically been overtaken by events, INOC Law was passed recently by the Parliament. But because this law was full of flaws, ambiguities, contradictions, inconsistencies and, above all, contraventions to the Constitution, it prompted strong and wide opposition to the extent that this author has launched formal detailed appeal before the Federal Supreme Courte by highlighting where and why this law is unconstitutional and, thus, should be revoked. Due to the importance of the law and its highly likely damaging impacts on the petroleum sector and on the Iraqi economy at large, it is imperative and of vital necessity to adopt inclusive and participatory methodology for combating the law. For this purpose I adopted four phases AMTA approach: Awareness, Mobilization, Teaming-up and Action. Awareness phase aims at highlighting what is seriously wrong with the law by providing preliminary evaluation of the law and then further specific with economic evaluation on how this law could violate the constitution, weaken INOC itself and contribute to the disintegration of the country. Articles in Arabic and English were shared widely and posted on many websites. Mobilization phase began by calling upon Iraqis, collectively or individually, to protest the law and file “open” appeal to the Federal Supreme Court; two articles in Arabic were shared and posted on 26 and 27 March respectively. The call aims at prompting the citizens to know their constitutional rights and empower them with the knowledge base to act as was enshrined in the constitutional article 93. Team working phase began when many oil professionals, lawyers, civil society organization, politicians, parliamentarians and media sources among others supported the idea of appealing to FSC. A small group of Iraqi oil professionals was assembled in Baghdad to maintain contacts with the lawyers and follow-up the matter inside the country especially with media sources and events organization. Two fundamental steps were done: the first is to prepare a draft of detailed appeal against the law on article-by-article base and the second is to provide the lawyers with “Power of Attorney” by the plaintiffs. Action phase began with many different actions such as writing articles, organise meetings and roundtable debates and a group of Iraqis abroad launched on 4 April an online-campaign against the law. All components of the AMTA approach are ongoing and continue until this atrocious law is revoked. Increasing number of articles and positions in support of the appeal are evident in the Iraqi media and among the professional networks. Two colleagues from Baghdad with legal team made the formal appeal before the Federal Supreme Court and the process is moving forward. On its side, the Council of Ministers-CoM asked the Ministry of Oil on what the Ministry has taken regarding the implementation of the said law and also to provide its opinion on the appeal against the law and which articles in the said law the ministry would appeal against. The Ministry formed a 12-man committee but focusing on the implementation matters with no mention of the appeal issue! Much of the future development of upstream petroleum, prospect of INOC itself and the integrity of the country, I would argue, hinge on revoking or radically amending this law. Time will only tell! Another issue of particular and critical importance is the legality and constitutionality of KRG’PSCs and its independent export of oil without the consent of the federal government. The latter appealed to Federal Supreme Court-FSC many years ago, but KRG resisted appearance before FSC. However, the comparative power shift post the untimely referendum on independence and the collapse of Da’esh had forced KRG to attend before FSC. Accordingly, FSC, on 27 June 2018, listened to the filed case by the Ministry of Oil against KRG and gave lawyers of both sides until 4 August this year to present additional documents and evidences pertaining to Kurdistan region’s independent oil policy, and set the next hearing for 14 August 2018. NDPs post 2003 have become increasingly indicative documents with all ministries are non-accountable for adhering to the targets of the NDP or complying to what was included in that plan. A logical consequence of such lack of sound and coherent national planning perspectives is the continued structural imbalance and reliance heavily on commodity export, i.e., crude oil. And with the absent of meaningful structural diversification (both vertical and horizontal) the state “oil dependency” increases, “rentierism ” consolidates, vulnerability to external shocks and leverages enhances and, consequently, sustainable socio-economic development derails significantly. Similarly, there was no white-paper for coherent and coordinated petroleum policy that integrates the three sub-sectors; all major policies and actions were mostly “Minster-base” even if there were plans or strategies as the case of INES signifies. Over the last 15 years, decision makers, i.e., ministers of oil were mostly motivated by “scoring achievements through contracting” instead of “delivering results and outcomes”. That is why upstream petroleum attained less than half its contracted levels with almost no progress on refining and gas flaring continues unabated. The political economy of relationship between IOCs and the host developing country, e.g. Iraq can be assessed through the contents of the contracts and their implementations. The foregoing analysis clearly demonstrate a deteriorated condition for Iraq; while the original signed contracts were for the Iraqi interests, the revisions of these contracts and the concluding the recent ones (of April 2018) have shifted the balance towards IOCs interests. Considerations of and data on cost, effectiveness and payment to IOCs are hardly made on regular intervals, on time and with full disclosure. Hence, there seems to be deliberate persistent efforts to prevent proper and comprehensive economic analysis and assessment. On the other hand, the Ministers and senior officials at the ministry use to make unsubstantiated and mostly contradicting statements on these matters. It seems that all the above occurred under conditions of lack of transparency, absent of good governance and a return to secrecy with many important deals are concluded behind closed doors, particularly with the American companies, and without the usual economic justification or feasibility assessment. This bad unproductive and questionable style of management had prevailed especially since the last cabinet shift of August 2016. All the above, and as highlighted throughout the article, deserves further attention and investigations through serious academic and professional research works. Adam Smith International- ASI (2017), Validation of Iraq. Al-Ameer, Fouad Qasim (2011), The Solution: Reject HoA (in Arabic). Al-Ammedi, Abdul Mahdi H,(2009), “Cooperation Policies with IOCs”, presentation made before the Symposium for Reviewing Iraq Oil Policy, Baghdad, Iraq, 27 February to 1 March 2009 (in Arabic). Al-Ammedi, Abdul Mahdi H,(2009a), “Service Contracts”, presentation made before Symposium for Reviewing Iraq Oil Policy, Baghdad, Iraq, 27 February to 1 March 2009 (in Arabic). Al-Chalabi, Issam (2009), “Iraq’s Oil Export Outlets” (2009) 52(48) MEES. Al-Forat News (2018), Baghdad, Iraq, in Arabic. 27 June. Al-Husseini, Sadad (2010), “Perspective: Assessing Iraq’s Oil Expansion” in Energy Compass (Energy Intelligence Group Inc, 5 March). Al-Khayat, Faleh HM (2012), “Iraq oil output to hit 6.2 million b/d by 2017”, 370 Platts Energy Economist. Alwaqee Aliraqia (2016), State Budget Law 1 for 2016, Article 38, nr. 4394, 18 January. Alwaqee Aliraqia (2017), State Budget Law 44 for 2017, Article 48-first, nr. 4430, 9 January. Chalabi, Fadhil J (2010), Oil Politics Oil Myths – Analysis and Memoir of an OPEC ‘insider’ (IB Tauris). Cordesman, Anthony H.(2010), ‘Iraq: ‘Mission Accomplished’ Mark II.’ Aug 20, 2010. CSIS-Center for Strategic & International Studies- Washington, D.C. http://csis.org/publication/iraq-mission-accomplished-mark-ii Accessed 11 February 2018. Council of Ministers (2013), Integrated National Energy Strategy 2013–2030, Baghdad, June. EITI (2017), Validation of Iraq: Report on initial data collection and stakeholder consultation. Norway. https://eiti.org/sites/default/files/documents/iraq-_2017_validation_initial_assessment_final_draft_asi_comments.pdf Accessed 23 February 2018. Government of Iraq-GoI (2007), A Shared Vision A Mutual Commitment, The International Compact with Iraq, 2007 Mid-Year Progress Report, Released at the United Nations in New York, 20 July. Hill, Patrice (2013), “Iraq’s flood of ‘cheap oil’ could lock world markets”, The Washington Times, 3 February 2013. http://www.washingtontimes.com/news/2013/feb/3/iraqs-flood-of-cheap-oil-could-rock-world-markets-/#ixzz2KS7TiLBe Re-accessed 11 February 2018. IEA (2012), Iraq Energy Outlook-World Energy Outlook Special Report, Paris, October. IEITI- Iraqi Extractive Industries Transparency Initiative (2016), Annual Report 2015, Baghdad, Iraq. The annual report was prepared by KPMG for IEITI. International Oil Daily-IOD (2017), 1 December. Jiyad, Ahmed Mousa (March 2010), “Remuneration Fees Are Measured In Cents, Not Dollars.” MEES v53 nr 11, 15 March. Jiyad, Ahmed Mousa (April 2015), PSCs – wrong idea, wrong time. Energy Economist-Platts, Issue 402- April 2015. Jiyad, Ahmed Mousa (2017), Iraq, in: Pereira, Eduardo G and Talus, Kim (co-edit), Upstream Law and Regulation, A Global Guide, 2 edition. Glob Law and Business Ltd. Gomer Press, UK. Pp. 673-698. 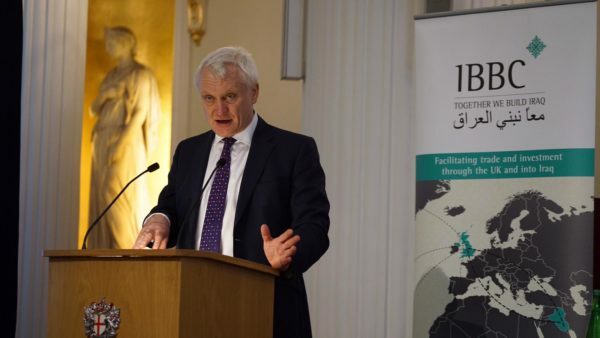 Mackey, Peg (2011), Iraq Set to Rework Oil Contracts as it Rethinks Output Target, IOD, 6 May, London. Merza , Ali (2010), Notes On Pricing In The Heads Of Agreement On Natural Gas In Southern Iraq, 29 January, http://www.mees.com/cms/2010/01/notes-on-pricing-in-the-heads-of-agreement-on-natural-gas-in-southern-iraq/ Accessed 12 February 2010. Mohammed, Aref (2009), Iraq’s weakened unions fight foreign oil firms. Reuters, 13 July. Osgood, Patrick (2013), “New energy strategy aims to streamline oil sector”, Iraq Oil Report-IOR, 28 March. Petroleum Intelligence Weekly-PIW (2012), Middle East’s Transition Offers Little for IOCs, 15 October. Sharushkina, Nelli (2012), Gazprom Neft Eyes New Projects in Iraq, IOD, 3 February, St.Petersburg. Ahmed Mousa Jiyad is an independent development consultant and scholar. He is founder and owner of Development Consultancy & Research; Norway; Energy Senior Expert mandated by the European Commission; accredited Expert on Extractive Industry Governance by UNDP; Associate of the (former) Centre for Global Energy Studies- CGES, London; Affiliated Expert with European Geopolitical Forum (Brussels); Global Energy Associate with Brussels Energy Club (Brussels); Senior Country Analyst for the PRIX- Index on Political Risk and Oil Exports (Oslo); Blogger Expert for Iraqi Business News-IBN (UK); Senior Associate with Mannara Consulting (UAE); Contributor to and Guest Editor of the academic International Journal of Contemporary Iraqi Studies-IJCIS (UK/USA/Canada); MEES and Energy & Geopolitical Risks; Oil, Gas and Energy Law-OGLE, among others. He has been, and still is, professionally cooperating with many Iraqi, regional and international companies, organisations, institutes, media, civil society organisations and variety of other entities. Jiyad studied and graduated with BSc in Economics (Univ., of Baghdad), High Diploma in Planning (Univ., of Birmingham, UK), MSc in Development Studies (Univ., of Bath, UK) and MA in Law & International Affairs (Fletcher School of Law and Diplomacy: Tufts and Harvard universities, USA); in addition to attending numerous professional courses. He has over 40 years of extensive international professional and academic experience working with governments, local governments, academic institutions, private sector, NGO and international organisations in Iraq, UK, USA, Norway, and, with UN organizations, in Poland, former Czechoslovakia, Hungary, Uganda, Sudan and Jordan. While in Iraq (1968-88) he was a Lecturer at Almustansiriya University; Senior Economist with Ministry of Oil and INOC; Chief Expert and Director at the Ministry of Trade; Chief Expert and Head of Commission with the External Economic Relation Committee- Council of Ministers. During 1975-88 he had actively participated in negotiating major oil projects and contracts, financial agreements, project financing and bilateral economic and technical cooperation agreements. He left Iraq to the US in July 1988 as Fulbright Hubert H. Humphrey Visiting Fellow. He is Iraqi-Norwegian citizen, born in Iraq 1945, and lives in Norway since October 1989. He can be reached at: mou-jiya@online.no and his mailing address: Skreia 19, 5725 Vaksdal, Norway. This part of the article was based on data and information from 40 detailed Excel spreadsheets, each summarizes one MoU. I was invited to attend the Symposium, and was co-moderator of the Oil Policy Working Group. In its meeting Nr. 8 dated 3 March 2009. See http://www.goi-s.com/view.224/. Accessed on 9 February 2010. For detailed testimony see his interview with Ruba Husari for Iraq Oil Forum-IOF in Dubai dated 11 May 2009, posted 20 May on http://www.iraqoilforum.com/?cat=7 Accessed 21 May 2009. For example Issam Challabi, in his statement dated 27 September 2008 on the proposed deals including the HoA with Shell provides details suggesting deliberate neglect; Direct email communication. Law Nr. 21 of 1997 published in Alwaqee Aliraqia nr. 3683 dated 18 August 1997 ratifying the Development and Production Contract and the Memorandum of Understanding related to Al-Ahdab oilfield signed in Baghdad on 4 June 1997 between MoO and CNOC and CNI, represented by Alwaha Company. Council of Ministers-CoM Meeting, nr. 8 dated 23 February 2010.
 http://www.parliament.iq/Iraqi_Council_of_Representatives.php?name=articles_ajsdyawqwqdjasdba46s7a98das6dasda7das4da6sd8asdsawewqeqw465e4qweq4wq6e4qw8eqwe4qw6eqwe4sadkj&file=showdetails&sid=4343 Accessed 27 March 2011. This part borrowed heavily from Jiyad (2017). The proposal was that Adams would consult with IOCs and academics as to ‘the desired features of a model contract”. More on this see Greg Muttitt article- No blood for oil, in this volume. Basrah Provincial Council held two extraordinary meetings on 24 and 28 June 2009 to debate the first bid round. Speaker of the House, Iyad Alsammari, met, on 22 October 2009, with delegation from oil professional in Basrah. They outlined and explained the main flaws of the contracts related to the bid rounds and their disadvantages to Iraq from technical, economic and legal angles. Alsammari asserts in the meeting that the Parliament has the rights and responsibilities to go thoroughly through any of such contract. Press Office for the Parliament president, 22 October 2009. See, Open Letter from Iraqi Oil Experts to the Parliament (regarding draft oil and gas law), 5 March 2007 http://www.iraq-enterprise.com/oillaw/AmmanMeeting17FebruaryE.htm Last accessed 15 February 2010. Iraq’s, then Deputy Prime Minister for Energy, Hussain al-Shahristani, said that Iraq does not plan to lower its target for oil production of 12 mbd or to re-negotiate contracts with oil firms over their plateau targets. 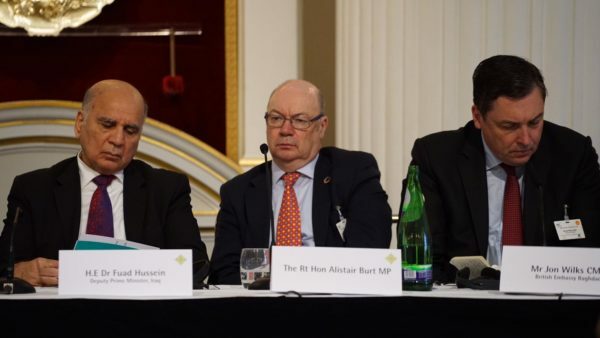 http://www.iraq-businessnews.com/2011/05/09/shahristani-denies-rumours-of-reduced-oil-target/ Accessed 12 May 2011. To that end they signed an agreement on 11 January 2010 leading in a contract, financed jointly, that was signed on 1 July 2010 with an international consulting firm, Booz & Company, selected in competitive bid. A Jul. 17-18 Baghdad symposium was convened to launch the study and help ministries formulate the most expedient approach. See, Council of Ministers (2013): INES has seven elaborated appendixes but they are not in the printed and distributed document. IEA, Iraq Energy Outlook-World Energy Outlook Special Report, Paris, October 2012. This author was among the participants in the high-level workshop held in Istanbul- May 2012 and a peer reviewer of the Report. The Council of Ministers approved INES, based on its Executive Summary, at its meeting on 16 April 2013 by its Order No. 157 of 2013. See, for example, Mackey, Peg (2011), Sharushkina, Nelli (2012) and PIW (2012). Nefte Compass, 14 March 2013. For discussion on and calculation of R-factor see, Jiyad (March 2010). MEES, Vol. 58. No. 08, 20 February 2015. This author had debated these statements extensively; for detailed debate, see, Jiyad: (May 2015), (April 2015) and (March 2015). There is good deal of details concerning these and other explanations, but space considerations limit our coverage. The same text appears in State Budget Laws, see, Alwaqee Aliraqia (2016; 2017). Author translation from Arabic. https://oil.gov.iq/index.php?name=News&file=article&sid=718 Accessed 10 November 2016.
 http://www.alliraqnews.com/modules/news/article.php?storyid=69623 Accessed 25 December 2017.
 http://oil.gov.iq/index.php?name=News&file=article&sid=1768 Accessed 28 November 2017. Adam Smith International (ASI), UK, was appointed as the independent Validator to evaluate whether EITI-IS’s work was carried out in accordance with the Validation Guide of EITI. The EITI-IS ’s Initial Assessment was transmitted to ASI on 16 July, 2017, giving also copy to IEITI-NS; ASI draft Validation Report, sent to the International Secretariat on the 10 August 2017. ASI (2017), Validation of Iraq. https://eiti.org/sites/default/files/documents/asi_validation_report_iraq_first_draft_v1.pdf Accessed 23 February 2018. As stated by the Minister of Oil at “Kuwait International Conference for the Reconstruction of Iraq”, http://www.akhbaar.org/home/2018/2/240670.html Accessed 13 February 2018.
 https://oil.gov.iq/index.php?name=Pages&op=page&pid=113 Accessed 24 February 2018. SOMO’ Energy News Brief, issue 1 March 2018, https://docs.google.com/viewerng/viewer?url=http://somooil.gov.iq/images/DALAL/1-3.pdf Accessed 9 March 2018. These are Missan, Kirkuk and Ninawa refineries at150kbd each; Karbala at 140kbd and Nassiriya at 300kbd. http://www.moo.oil.gov.iq/studies/STUDIES/projects.html Accessed 4 March 2018.
 https://oil.gov.iq/index.php?name=News&file=article&sid=1846 Accessed 29 January 2018. For further detailed analysis on these issues see Jiyad (January 2017). On this latest move on data manipulation by the Ministry see monthly data provided by the Joint Organization Data Initiative- JODI. http://sgc.oil.gov.iq/date_co.php and http://ngc.oil.gov.iq/en_index.htm Accessed 14 April 2018. Initially it was end 2018, then the Minister was reportedly said, on 16 September 2017, that gas flaring will ceased by end 2019 (http://newsabah.com/newspaper/133572 Accessed 17 Sept 2017, then he said, on 2 April 2018, before end 2021 (http://www.akhbaar.org/home/2018/4/242541.html Accessed 2 April 2108.
 https://oil.gov.iq/index.php?name=News&file=article&sid=1913 Accessed 3 April 2018.
 http://www.iraq-businessnews.com/2017/12/06/gazprom-neft-commissions-new-gas-plant-at-badra/ Accessed 7 December 2017. See http://www.akhbaar.org/home/2018/2/240670.html Accessed 13 February 2018. This resolution was related to approving a roadmap proposed by the Ministry in 26 November 2017 for the amended Work Plan regarding the World Bank Loan Requirements. CoMs’ official communication number 19333 dated 28 May 2018. See IOR, 28 June 2018 and Al–Forat News (in Arabic), 27 June 2018, Baghdad, Iraq. The full article can be downloaded in pdf format here. Posted in Business, China, Citi, Citigroup, Commission, Committee, Corruption, Dinar, Dinar Daddy, Dinar Guru, Dinar Recaps, Dinar Vets, DUBAI, European Commission. 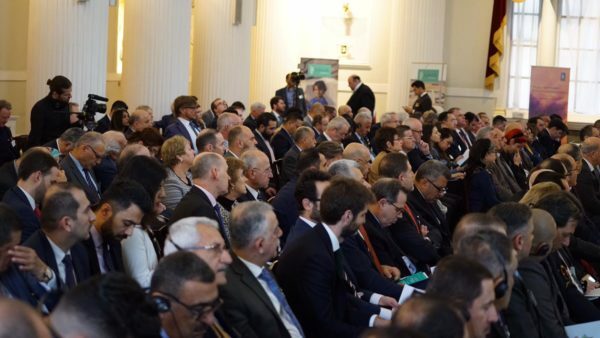 Sponsored by the Embassy of the Republic of Iraq in Rome, and in coordination with the Federation of Italian Industries, the Iraqi Conference on Investment and Reconstruction was held at the end of March to discuss investment opportunities and the contribution of Italian companies in the reconstruction of Iraq. Representatives of more than 200 Italian companies witnessed the participation of the National Investment Commission (NIC), Undersecretary of the Ministry of Commerce, Directors-general, officials of oil and transport ministries, Baghdad investment, and representatives of the Federation of Chambers of Commerce from the Iraqi side and from the Italian side by Italian Undersecretary of State for Development and Economy, the Italian Ambassador in Baghdad. 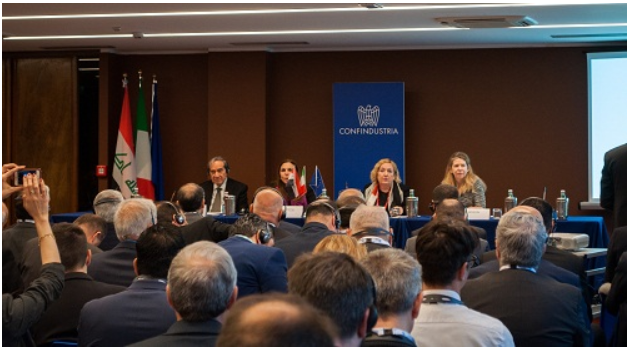 The conference also witnessed the holding of meetings between the representatives of the Iraqi authorities and Italian companies to discuss investment opportunities in the fields of energy, oil, agriculture and infrastructure. Posted in baghdad, Business, Commission, conferences, Construction & Engineering In Iraq, featured, Investment, Iraq Industry & Trade News, Italy, mn, reconstruction. Potential production at this new well is estimated at 12,000 barrels per day. Cumulative daily oil production at the field following the commissioning of the Sarqala-3 well has increased by 25 percent reaching 35,000 barrels. The well runs to a total depth of 3,291 metres, with drilling having been undertaken under the challenging geological conditions of the Sarqala field — anomalously high pressure and reservoir temperature having demanded the use of a selection of 11 technological solutions. The construction of the Sarqala-3 well has, as a result, involved the use of large-diameter casing pipes with ultra-strong thread connections, weighted drilling mud for bottom-hole flushing, and cement incorporating mineral-based and iron-oxide additives. Drilling the well has involved an international team, with members from 20 countries. The project was implemented by Gazprom Neft Middle East, with technical support from the Gazprom Neft Science and Technology Centre. Posted in Business, Commission, featured, Gazprom, Gazprom Neft, Iraq Oil & Gas News, Iraq Oil Production News, Kurdistan News, mn, Russia, Sarqala. Posted in Commission, Concern Worldwide, Employment, featured, International Commission on Missing Persons (ICMP), jobs in Iraq, mn, Norwegian Refugee Council (NRC), UN Development Programme (UNDP), UN Office for Project Services (UNOPS), United Nations Assistance Mission for Iraq (UNAMI), United Nations Investigative Team for Accountability of Daesh/ISIL (UNITAD). Posted in bank, Banking & Finance, Basra, Business, Central bank, Central Bank Iraq, Central Bank of Iraq, Central Bank of Iraq (CBI), Central Bank or Iraq, Economic News, Commission, conferences, Construction & Engineering In Iraq, erbil, Eversheds Sutherland, featured, Investment, Iraq Banking & Finance News, Iraq Britain Business Council (IBBC), Iraq Industry & Trade News, Iraq Oil & Gas News, Iraqi Private Banks League, mn, United Kingdom. Iraq’s Communications and Media Commission (CMC) has reportedly ordered operators to block calls between their customers and Korek users in a dispute over number portability. According to Rudaw, the regulator told mobile network providers that Erbil-based Korek had failed to meet its “contractual obligations” to allow customers to keep their phone number when they change service provider, while other providers such as Zain and Asiacell had complied with the regulations. Korek has called the policy “unfair and unjust” both to customers and companies. Posted in ], Asiacell, Business, Commission, Communications and Media Commission (CMC), erbil, Erbil News, featured, Iraqi Communications News, Korek, Kurdistan News, mn, mobile phone, Zain.